Cumbuco is situated on the eastern side of Brazil and is facing the sea which is ideal place for Kitesurfing activity and that is the reason it is also called the WindTown. The nearest airport to this place is Fortaleza which is about 40 km from Cumbuco. The warm waters of the ocean and the ideal shore lines are good for kite surfing. Other than the shore lines Cumbuco has a very soothing temperature around 24 – 26 degrees Celsius during the months of July to October which attracts lots of visitors every year and of course the kite surfers which finds this place a premier destination for them for surfing. The beaches are very beautiful and the main beach is divided into two main sections. One part is the Barraca beach and the other part leads to the nearby Cumbuco town where you will find hotels and restaurants for refreshments. The town is close to a large fresh water lagoon called the Cauipe. This stripe of land is used by surfers to fly downwind from the beach to this lagoon which is around 8 km stretch of land. Kitesurfers from all round the world no matter whether he is a newbie or an expert all gather in Cumbuco during the months from June till January to enjoy surfing. There are lots of kite surfing schools around Cumbuco if you would like to learn and also there are shops where you can only rent out kites and boards. The kite surfing schools train the freshers in batches of 20 to 22 pupils at a time with each instructor can handle a maximum of only 2 students. They process they follow to train the new members is strictly with IKO so you need not worry on that. The safety measures also followed by the trainers here are according to the IKO procedures and all the safety kits are verified before one starts using it. They always make sure that the helmet and the floating vest is worn by the user at all times during the sessions. In the beginning the instructor will be riding with you to show you and guide you and once you get trained for atleast 12 hours then you will be able to do it yourself without the help of the instructors. The cost of these beginner trainings range around 800 Reais for 10 hours course and if you would like to take private lessons then that is also available with 120 Reais per hour basis. Most of the schools for kite surfing use new surf boards and kites and they replace these every 4 -5 months after use and basically they return it to the companies from where they have got. The companies replace them with new ones. The kiters paradise, as Cumbuco is also known as, has all the amenities which attracts the surfers from around the world. In the evenings after you spend the day on kite surfing, activities do not stop here as you can stop by the local restaurant which serves barbeque steak or fresh fish or over a mug of cold beer and enjoy the evening in the cozy town of Cumbuco. Kitesurfing camps have become a popular way for people to learn kitesurfing and reach a higher level compared to those that just take a one or two day course. Another benefit with kite camps are the fact that you get to know the group of people that are participating in the camp, hence kite camps are great for the one that wants to learn kitesurfing and make friends at the same time! We are here listing 5 of the best kite camps over the world! Kitesurfing Lanka is Sri Lanka’s only professionally run camps. It’s situated in Kalpitiya where the conditions are ideal for beginners and advance riders alike. The flat water lagoon, large beach, consistent winds, safety boats and instructors who speak a number of languages ensure that beginners learn the sport in a safe and enjoyable manner. For advance riders, there is the option of choosing the sea, waves, lagoon, kite trips, so many options. The camp itself offers a range of accommodation options. From a premium chalet to a dorm style backpacker cabins. All meals are provided in the price which includes a mix of western and local cuisine. The team organizers everything for you from airport transfers to tuk tuk rides! There are also national parks with elephants and leopard, ancient cities which are 2000 years old within driving distance of the camp. KSL is run by kiters for kiters and are managed by a Sri Lankan and French duo who would go out of the way to make you have a great experience. The peak season lasts from May to end September. Witch’s Rock Surf Camp is one of the world’s best surf camps in Costa Rica, a perfect place for kite surfing. A lovely, amazing surfing community, located on a classy beach of warm water and amazing waves. Surrounded by people who are friendly and have the passion of surfing. Beginner, Intermediates and Advanced learners, all can surf directly on the main beach of the country, the Tomarindo. Instructors in Costa Rica have guidelines written in Spanish and English for the learners. One must try out surfing with different types of surfboards. Here it also teaches on how to make surfboard designs, rules for surf manners, and how waves are made. Sagana Resort, Cloud 9 located at Siargao Island in Philippines, is one of the beautiful places with unbelievable waves. Siagro Island Resort is little away from the stunning surf of Cloud 9 which is the main attraction of the place. From August to the beginning of November are the months for surfing. Typhoon swells and best winds takes place at this time. But during May, June, and July time it’s smaller. Except Cloud 9, there are other places like – Jacking Horse, Tuason Left, Rock Island, Stimpies Pacifico, Other Waves which are also open for surfing. One should have travel insurance when coming to Philippines. Surf Camp Australia has different range of packages for surfing. If anyone wants to surf and have holiday then he must visit to Australia as it’s going to be a lovely weekend, a holiday which will make a difference in one’s life. There are packages for surfing. There will be friendly Australian instructors to instruct the beginners, intermediates and the advanced learners. There are different steps for the beginners to learn. Paddling, standing up, dropping into waves and riding will be taught during the teaching session of surfing. There are total five beaches where the surfing lesson will be given to the learners. Easy Drop is one of the renowned schools in the world and internationally claimed Surf School. It’s located at State of Bahia, Brazil, one of the first class surf schools. In Easy Drop Camp, the instructor gives practical, theoretical equipments and also strokes classes. These classes are sub-divided with different lessons to make it easier for the learners. Bahia has stunning beaches, warm water and great surfing for riders. There are total eight beaches where surfing is being done. One of the advantages of surfing in this place is that it’s less crowded cause for its remote location and limited access. Surfer’s Paradise Campsite is one of the best camps in UK. This camp is located 10 miles away from Barnstaple in North Devon. The camp is close to the stunning beach suitable for surfing. The facilities that are been provided to the learners that they can hire surf, RNLI lifeguards, toilets, event information, hot and cold showers, picnic tables, weather and tide updates. Even the camps have rules of doing do’s and don’ts. One who will go for surfing to surfer’s Paradise will have a memorable one. One must listen to the instructors as they are the beginners for surfing. 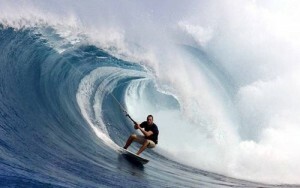 Maui islands in Philippines, has also been attracted to the surfers especially the kite surfers from all round the world. If we go towards the north of the island lays the north shore beach. North Shore is known as the jewel of all the other beaches which is about few minutes from the Airport of Kahului on the western end of Kanaha Beach (N20°53.9724, W156°26.35896) and also known as the Kite Beach. This beach is perfect for the beginners and its side on to the shore winds helps the beginners to come shore safely. The waves on the kite beach are divided for the riders. Little farther from shore is basically for the riders who are in the intermediate and advanced stage. Waves which are largest are only for expert riders. The other important beach on this island is the Kanaha Beach which is around two miles and most of it lies on the Maui County’s Kanaha Beach Park. Every beach has its own important features. “Old Hale beach”, “Old Man’s Beach” is the two divisions of the areas of the Kite Beach. Ka’a Point is another beach which is used for launching area. Fishermen and families also give the riders the rooms in this area. Off shore to Ka’a Point is the Bone yard, which is a very shallow place which comes out at low tide. The Riders should take pre-caution or be cautious while jumping near to this area, as this area gets covered up by the ocean at high tides. Then there is also the Action Beach, which is the launching area for the storm – water canal of downwind. This beach also has plenty of room for kite surfing and it’s mostly used by the kite schools. . This beach is very good for the beginners for long run and it’s mostly sandy. KSM is one of the best schools for teaching people the kite surfing sport. Here the instructors are certified from IKO, and some of them live on Maui for many years and knows the different Maui water sports, which is considered one of the best in the world. They offer one to one lessons to the beginners, intermediate and also to the advanced students so that they can learn the kite surfing without any hesitation. The entire kite surfing lessons are generally divided into three sessions – a) Discovery Programs, b) Intermediate, and c) Advanced. These three sessions which are having eight parts in each being taught here along with the different ways of kite surfing. As the popularity of kite surfing in Maui has developed in recent years so much that the guidelines for the safety of kite surfing has also increased so that the beginners and the riders have the proper security and safety for this sport. This sport is being regulated by the (FAA) Federal Aviation Administration Regulation by the proximity of the nearby Airport of Kahului. The main attraction for Maui is the various Aqua Sports it offers to the visitors with the suitable conditions, such as the winds, culture, adventures, wide variety of accommodations, and professional kite lessons for everyone. Boracay, a small tropical island of Philippines, in recent years has been famous for its beaches and home for kite surfing lovers. The white sunny beaches, and the warm temperature whole year makes the day and night life as one of the most happening places and this is what Boracay is special. The country of Philippines is ranked first for getting registered in Kite surfing and that became the best place in Asia. Trainers of IKO and VBWS teach the beginners. Boracay Island is situated away from the mainland and so less crowded compared to the other beaches. Bulabog is a Beach where Kite surfing takes place. The kiters also have their own secluded section for kite surfing. Another beach for good kite surfing is situated to the north known as the White Beach or Diniwid. In total, the island of Boracay has 12 beaches. 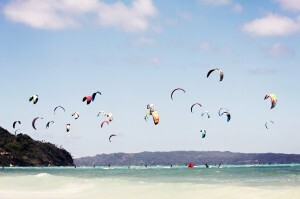 The kite surfing practiced on these beaches have mainly five different types of courses. Each course is being taught by the IKO instructor to the beginners and generally each instructor will have maximum two students each at a time. Every student is given proper attention so that they can learn the safety procedures of flying and also gather experience through their performance. The equipments which will be needed for the beginners to learn kite surfing are – Cabrinha, F-One, Slingshot Kites, Naish Kites, Nobile Kite boards, Prolimit and many other brands. 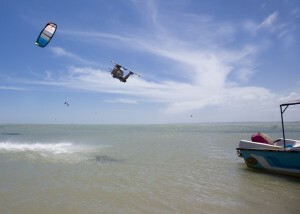 In fact you can pretty much learn kitesurfing or hire equipment with any of the major brands on the kitesurfing market. Discovery Course – It’s the introductory course for the beginners or for those people who wants to learn and then find out whether they can do kite surfing or not. It’s a course for only 2 hours. Day Course Level 1 IKO – This is the first step one course for beginners. They start learning with the IKO instructor’s help. In this step, they are trained about the set up of the kite, turbulences, bar and lines, safety system, fly a 4 line kite, power zone and wind-window theory. At the end of this level the beginners learn to use the kite in the power zone. This course is of 4 hours duration. Beginner Course Level 1+2 IKO (IKO Certificate) – In this course one gets trained to become an independent kiter. The instructor also helps them during this training. After a 12 hours/ 3days of session one gets good control over kite surf. Another part of the learning in this session is to get on the board and riding oneself. Advanced Course Level 3 (IKO Certificate) – Session of 5 hours/1 or 2 days. Here learner already knows how to ride a kite. He learns from the professional instructors how to turn, ride upwind, and do their jumps. Private Tuition – A course of 1 hour. Someone will be there who will recommend and answer your questions. Select of right spot for kite surfing and right material. It depends on direction of wind, shallow water and strength. There always be someone for launching and landing. Anyone lost then instructor will help and pick them up.